2019’s International Day for Monuments and Sites, aka World Heritage Day is April 18. We've visited several UNESCO sites over the years. We will highlight some of them here. Click the links to learn more about these sites. 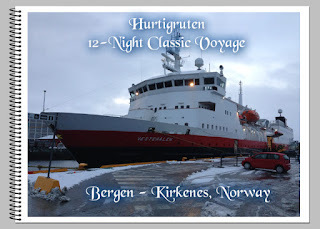 Our ship, Hurtigruten Ms. Vesteralen, visited Hammerfest, the northernmost town in the world during our Norway coastal voyage. We boarded a bus which took us to the Meridian Column, which is on the UNESCO list of World Heritage sites and commemorates the first official measurement of the exact size and shape of the Earth. Much of Holland is below sea level, but yet it doesn't flood. Why? 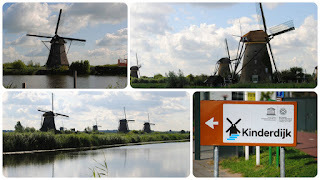 A visit to Kinderdijk gives you the extraordinary opportunity to visit a UNESCO World Heritage in Holland and answer the question for yourself. During your visit you can see 19 windmills from the 18th century and even go inside one to see what it was like to live there. The Basilica of St. Castor is the oldest church in Koblenz. It is located near Deutsches Eck at the confluence of the Rhine and the Moselle. Pope John Paul II raised St. Castor to a basilica minor on 30 July 1991. Since 2002, the Basilica of St. Castor has been part of the UNESCO World Heritage cultural landscape of the Upper Middle Rhine Valley. In addition, it is a cultural property protected under the Hague Convention. 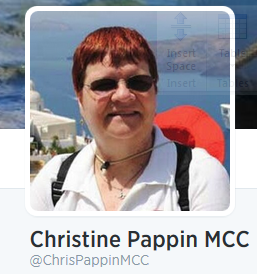 It was a summer day in August 79 A.D. when Mt. Vesuvius rumbled, an ominous cloud formed, residents fled to save their lives, and a city was lost in a sea of ash. For nearly 1700 years, the ancient Roman cities of Herculaneum and Pompeii would lay hidden under 75 feet of volcanic ash until their accidental discovery and subsequent excavation. 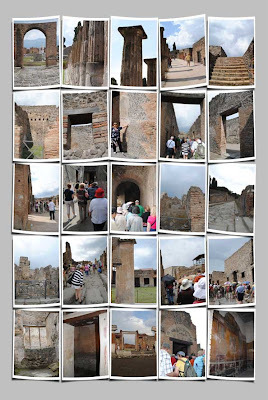 Pompeii was known as a vacation community for high society before the eruption; it had a forum, amphitheater, gymnasium, shops and an aqueduct that delivered water for irrigation, fountains and private baths. Some of the ruins are remarkably preserved with elaborately detailed mosaics and colorful frescoes decorating the interiors of wealthy homeowners' villas. What was life like under the volcano? What exactly did happen that summer day in A.D. 79? Fast forward to current day... we exit our motorcoach and walk along the path to the entrance of this UNESCO World Heritage Site. Shortly after entering the site we see evidence of remarkably well preserved buildings from the Lost City. “Notre Dame represents a historically, architecturally, and spiritually, outstanding universal heritage. It is also a monument of literary heritage, a place that is unique in our collective imagination”. 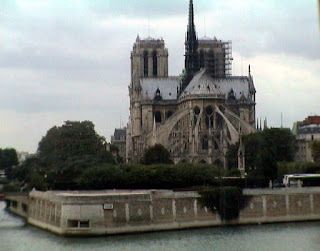 The Cathedral is part of the World Heritage site officially known as “Paris, Banks of the Seine”, inscribed on the World Heritage List, in 1991. This photo was taken during a visit on 9/11/2001. Have you had visions of Caribbean beaches and cruise ships in your dreams? I'm sure that I'm not the only one that does... especially after the spring snow storm we just had this weekend. Are you are getting a tax refund? 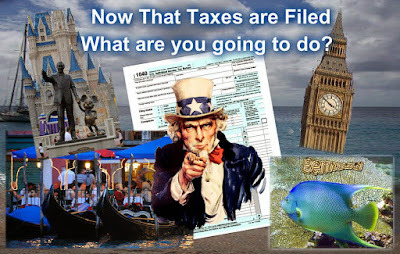 Help the economy grow - spend some of your tax refund on yourself - on a cruise vacation. If you've not been on a cruise before, now is the best time. If you are like most Americans, when the economy took a turn for the worse a few years ago, your vacation plans went out the window. Consequently cruise prices have remained at pretty constant low prices, but are about to start increasing. There are still several cruise line offers available for those that want to take advantage of the lower pricing. Of course, you don't need to go to the Caribbean, and in fact, European cruise vacations are on the rebound. Why is that you ask? The cruise lines have record deployments in Europe in recent years but the demand hadn't kept pace with the increased capacity. 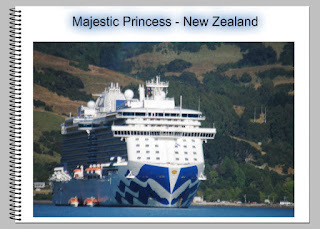 That's not to imply that people aren't booking European cruises - they are. However, there are larger ships and more of them, in Europe this summer than any other time before. Obviously, the cruise ships need to sail full for the companies to make a profit, so the consumer wins. 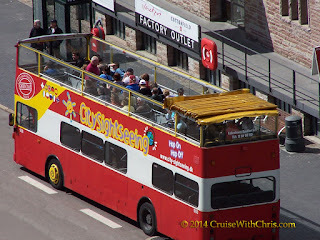 I just did a quick search on my website for a short European cruise vacation in May. A 9 night Scandinavia & Russia cruise was available for less than $800 pp for an inside cabin. For those that aren't quick at math, that's about $88 pp per day or less (excluding taxes and fees). 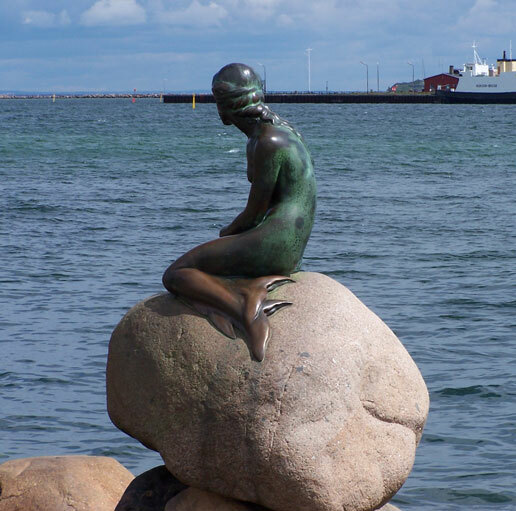 For comparison purposes, I did a hotel search for Copenhagen, Denmark, one of the embarkation ports, during the same period and prices for a popular hotel started from $478 Per Night. The hotel didn't include meals or entertainment and was rated as a 4 star accommodation. Contrasting the hotel stay and the cruise... On the cruise it's like getting your room at less than 50%, all your meals, and entertainment onboard the ship. 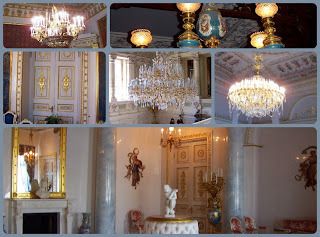 Besides Copenhagen, you'd visit Warnemunde (Berlin), Germany • Tallinn, Estonia • St. Petersburg, Russian Federation • Helsinki, Finland • Nynashamn (Stockholm), Sweden. 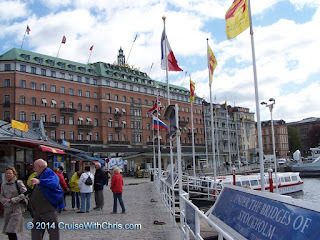 Scandinavia is one of our favorite cruise destinations. I've not discussed airfare, which is a large expense for a European vacation, especially in prime season. Since the cost of air would be the same for the cruise and land-based vacation stay, I've excluded that from the equation. Since this cruise is before the Summer Season this makes the selected cruise even more attractive. There are many deals to Europe this Summer. We'll feature some of the sales on our website and Facebook page. If you are seriously considering a Europe get-away this Summer, my suggestion would be to book now while the supply is larger than the demand so that you can maximize your investment. The prices I've seen during my search in preparation for this article are on par with what you'd pay for a Caribbean vacation on the same or similar ships. For the most part, the ships are the larger, newer vessels in the respective fleets. Ships like Celebrity Equinox, Royal Princess, and Royal Caribbean Brilliance of the Seas are just a few of the choices you'll have. Of course, if you want to stay closer to home in the Caribbean, Bermuda, or Disney World, we can help you sort through all the possible choices and find the best value for you and your family. Put Your Tax Dollars to Work for You on a Cruise / Land Vacation to Remember for Years to Come. Cruise Europe in 2019 !! Our journey continued near the North Island’s southernmost point on the Cook Strait to Wellington, the capital of New Zealand. 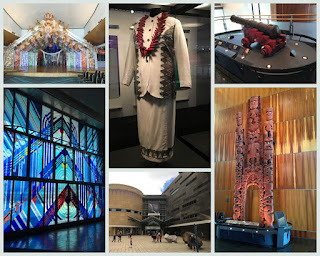 Just 30 minutes bus ride along the coast we arrived at our first stop, Te Papa Museum. The full name of the museum is "Te Papa Tongarewa," which means "the place of treasures of this land." In Mana Whenua discover the world of Māori, the tangata whenua (first people) of New Zealand. Stories of voyaging, conflict, and survival are told though a powerful mix of cultural treasures, oral histories, and contemporary works. Step inside the body of Te Hau ki Turanga, one of the oldest and most significant meeting houses in existence, and visit our dynamic and beautiful marae (communal meeting place) for the 21st century, designed and created by leading Māori carvers. No photography is allowed in this part of the museum. We suggest you plan your visit ahead of time. After leaving the museum, our motor coach headed to Lambton Quay in the central business district, home of the 111-year-old Wellington Cable Car. Here we had a vertical climb in this funicular of over 390 feet in the air and traveled a length of 2,000 feet. Three minutes later, we were at the top and overlooking the city. 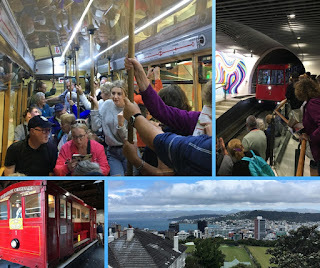 We had a ringside seat to some of Wellington's most breathtaking views including the city's rolling hills, the downtown area, Te Whanganui-a-Tara (the Mâori name for the Wellington Harbour, also known as the great Harbour of Tara) and beyond. Click on the image to the left for more Blog posts about this trip. Hurtigruten’s cruise along the Norwegian coast not only offers a whole host of incredible experiences and wondrous scenery, but is also a culinary journey. The on-board menus offer authentic Norwegian cuisine, which reflect both the seasons and the local specialties and cuisine of the regions past which the ship is sailing. 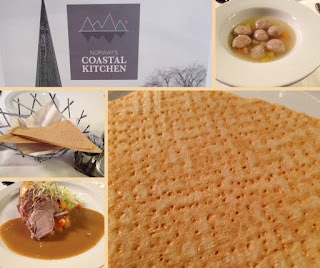 During our cruise through Trondheim on the way back south, Hurtigruten's Norway Coastal Kitchen featured local cuisine from the Trøndelag area in Central Noway. This was one of the most unique local meals during our voyage. “Sodd” means to seethe and is traditional soup of the region. Genuine Sodd from Trøndelag consists of meatballs and dices made ​​of lamb (mutton), beef, and broth. The meatballs are made with cornflour, whole milk, heavy cream, ginger and nutmeg. It must be served with Skjenning, a flat bread that has been brushed with sugar and fresh milk on one side. Click on the image to the right for more Blog posts about this trip. Bahamas Press posted this video on YouTube on April 1st. It was not an April Fool's joke. Royal Caribbean Oasis of the Seas was undergoing planned repairs in Freeport, Bahamas shipyard when a crane toppled onto the ship damaging it and the facility. Fortunately, there were no fatalities or life-threatening injuries. Royal Caribbean has since inspected the ship and cancelled the next 3 sailings. Oasis will head from Grand Bahama shipyard to be serviced at facilities in Cadiz, Spain. Oasis will resume her scheduled itineraries, beginning with the May 5 sailing from Barcelona. The news media tends to focus on the negative aspects of cruise industry incidents. In fact, some outlets even tied this event to norovirus outbreaks that had occurred earlier. Shame on them for bringing that up at a time when they should have been reporting on the injured parties and impact on the shipyard, the Bahamas economy, impacted families, and the cruise line. For the record, norovirus isn't unique to cruise ships, but those are usually the stories that get told. Here is one of our old blog posts on the topic. This shipyard accident couldn't have come at a worse time. This is Spring break time with families longing to get away, especially those who have had it with winter weather. The Oasis is one of the largest ships afloat (along with her sister ships), so that means the most passengers possible were impacted by the cancellations. Responding to the incident as quickly as they did was no small feat. If you've ever had a car accident, you can put yourself in Royal Caribbean's shoes at a much smaller scale. Your family members were probably relying on the vehicle to get to appointments; perhaps a vacation. You need to find other means of transportation and perhaps cancel some planned activities. Now consider that involving more than 5,000 people on just this one cruise alone. When you have the largest ship afloat, you can't just pull into a shipyard down the way. So they had to find a shipyard that had availability to handle a ship that size. Passengers need to be re-accommodated (recall this is Spring break and ships are already at full capacity). You can't just get a ship out of the garage and put it into service (like you would with your car). Royal Caribbean put together a compensation package for impacted cruise passengers and travel professionals, and communicated that shortly after examining the ship to determine the extent of damage. We won't reveal the complete details, but it included refunds for the existing cruise and future cruise credits as well as assistance for flight change fees. It was a most generous package. We'd like to commend Royal Caribbean for the way they've responded to this incident and cared for their impacted passengers and travel professionals. We are proud to call them a partner. Harmony is a specialty restaurant created in partnership with the former chef of Wing Lei – the first Chinese restaurant in North America awarded a Michelin star – Harmony, features Chef Richard Chen’s interpretation of classic Cantonese dishes. Chef Chen’s innovative plates demonstrate impeccable technique with a masterful balance of ingredients and flavors. Princess Cruises' specialty restaurants always deliver an extraordinary experience. They are among the best at sea – or anywhere. Majestic Princess introduces Harmony to the fleet. We put this on our must-do list so that we could report about this culinary experience. Our cruise package included one complimentary specialty dining for two up to $29 value each. Since Harmony's cover charge was within those limits, that was a second reason for choosing it. At dinner, a couple nights before we went to Harmony, we asked our Head Waiter how the food was at Harmony and if he had any recommendations. You have to order the Peking Duck Salad. We also spoke to our Waiter and told him we wouldn't be there because we were going to Harmony for dinner. He too gave us an unsolicited recommendation for Peking Duck Salad. 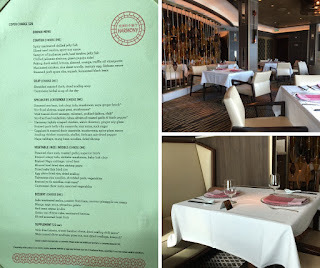 When we arrived for dinner at Harmony, our Waiter explained the menu and offered his recommendations ... you guessed it. So, we did order that for our starter. It was amazing !! We later learned that was the chef's specialty dish. Our main entrees were Stir Fried Shrimp, sugar peas, and mushrooms and the Harmony Lightly Crisped Chicken, water chestnut, ginger and soy glaze. The main meal was complimented with Egg White Fried Rice, scallops and Cantonese Chow Mein. assorted vegetables. Dessert was Red Bean Crème Brûlée. 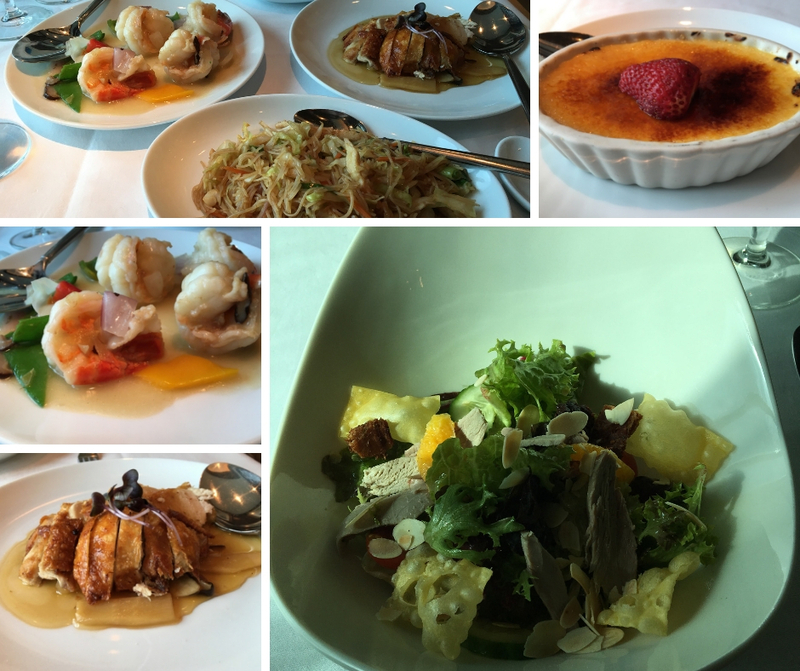 We thoroughly enjoyed dining at Harmony. The service was great, the food was fantastic, and the view out the window added to the ambiance. It is well worth the cover charge if you like Cantonese food. The waiter didn't steer us wrong with his recommendations, which he tailored to our tastes.